Graciously organized by Mike Rosenova. Please also email Mike to let him know you're coming: m.j.rosanova@aya.yale.edu. 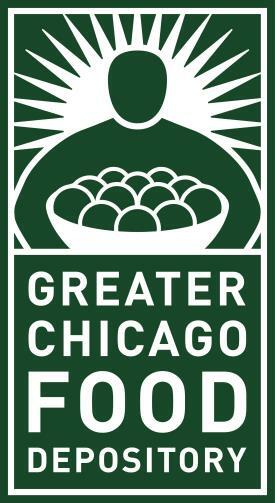 Mention Yale GALA, Inc.
Join us as volunteer "food packers" at the beautiful climate-controlled campus of The Greater Chicago Food Depository (GCFD), for a great afternoon with many Yalies and for a terrific cause. This is a general Yale Chicago event, open to all Yalies and proudly co-hosted by Yale GALA, Inc. You are welcome to wear a rainbow ribbon and look for friends-both LGBT and otherwise. GCFD impacts both the City and the suburbs directly by providing food to food banks, refugee families, school children and many others throughout our region. From past volunteer days at GCFD -- organized by our host Mike Rosanova -- we know they're amazing: bright, upbeat, extremely well organized. They train and support each volunteer, providing hats, aprons, gloves or whatever the project requires. On one visit, we packed boxes of food for Title I CPS students who receive free or reduced-price breakfasts and lunches at school but nothing on the weekends. Another time we sorted fresh cabbages according to size and freshness, bagging them and boxing them for the Oak Park Food Bank and other similar distribution agencies. Another time we sorted and labeled unmarked cans of various kinds of food. At the end of each visit, we reviewed how much we'd accomplished and walked away tired but happy that we'd accomplished something. You can invite family and friends to come along, as long as there's room. Children as young as age fourteen are welcome!